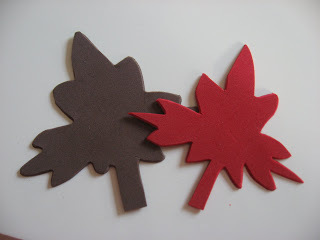 Magnet Mania – How to Make Fall Foam Magnets! I LOVE FALL! I am so excited to get my pumpkin decorations out and I am already trying to figure out how to buy more without annoying my husband. 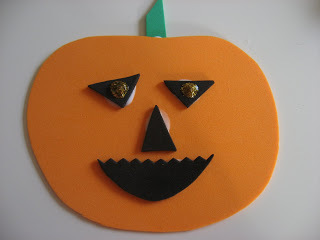 So for this week’s Naptime Creation (crafts for the school-age crowd) I decided to make some fall decorations that can be useful, too! 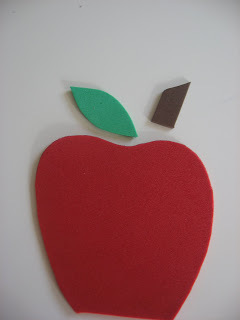 These fall foam magnets are a lot of fun! Gather your materials. 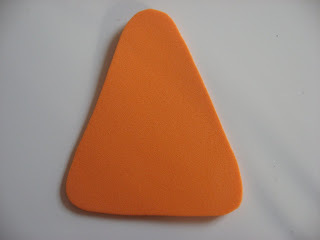 You will need some foam sheets- they can be found at most big box stores, in multi-packs or individually. 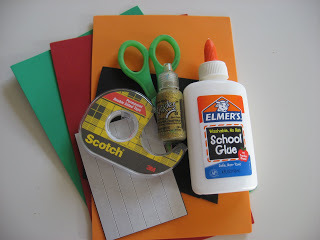 A pen, glue, scissors, some glitter glue, and magnetic strips. Decide what designs you want to make. 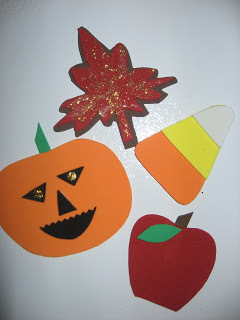 I decided on a fall leaf, an apple, a jack o lantern and candy corn! 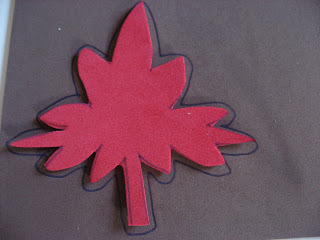 For the leaf, you will need to draw a leaf on one piece of foam. Cut it out. 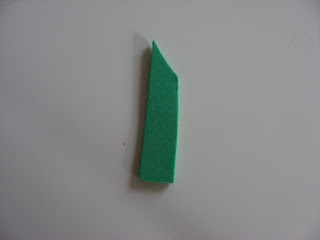 Lay it on face down a second color of foam and outline it with room to spare so that color will stick out. Cut the second leaf out. 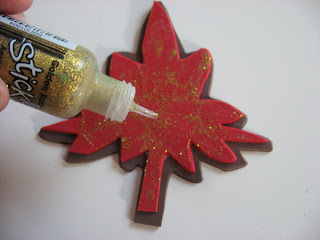 Glue the top on the bottom and add some gold glitter! 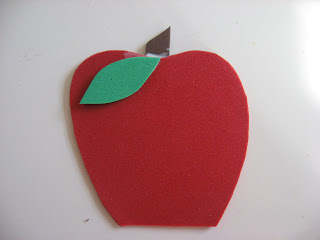 For the Apple cut out a red apple shape , brown stem and green leaf. Glue the stem on the back and the leaf on the front. Let dry. 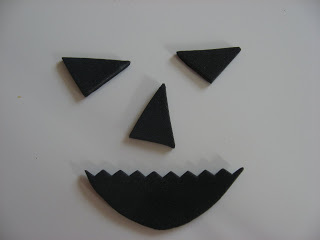 For the jack-0-lantern draw a pumpkin, cut out, cut a small green stem and cut out three small black triangles, and a semi circle for the mouth. I cut the top with pinking shears for the zig zag . Glue together and add glitter to the eyes. 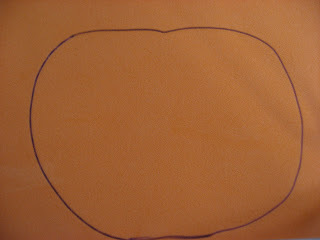 For the candy corn, draw the whole shape of the candy corn in orange and cut out. 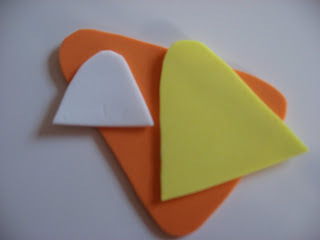 Next, lay the orange on top of the yellow and trace only what you need and cut out. Repeat for the white layer. Glue them together. 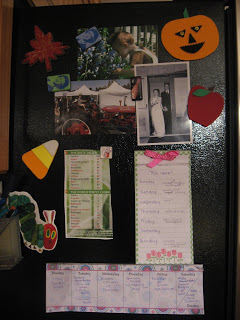 Beware since making this magnet I have been craving candy corn! 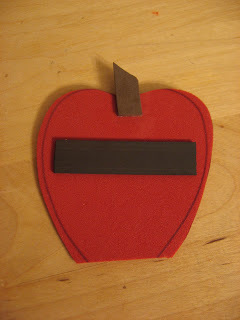 Let everything dry until you can see no more white glue at all, then apply the magnet strip. Even though this is for older children please make sure that if you have a little child in your house you use magnet pieces large enough not to be a big hazard. Pop them on your fridge ! Next Post: Do The Robot ! Previous Post: You’re A Hoot – Owl Puppet for Fall! Your ideas are great!! Thank you so much for this website. My kids and I have just recently found your website and are excited to start working on these projects :). Soooo cute! I am also a fall lover. I am going to get my fall decs out at nap time. I will definitely be making the magnets. I am the happiest when fall comes around. I love these ideas! What I especially love is that I think this is a project I can do with my toddler. 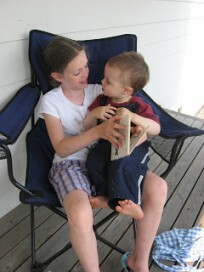 I have a 3.5 year old and a 1.5 year old and I’m so glad I found your website! 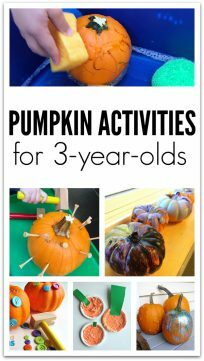 This will keep us busy during the cold months and prepare my eldest for preschool next year! Thanks so much for the wonderful ideas!! My 3 year old loved this! We traced our halloween cookie cutters, cut them out and then my daughter used glitter glue, sequins and googly eyes to decorate. She proudly displayed them herself on the fridge. We will be using this craft for all holiday decorating from now on. Christmas trees should be fun using pom poms. Thanks again for all your ideas!